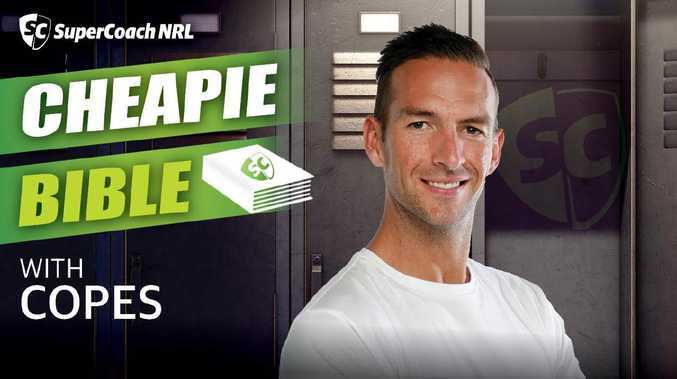 Trent Copeland's SuperCoach NRL Cheapie Bible ahead of round four. 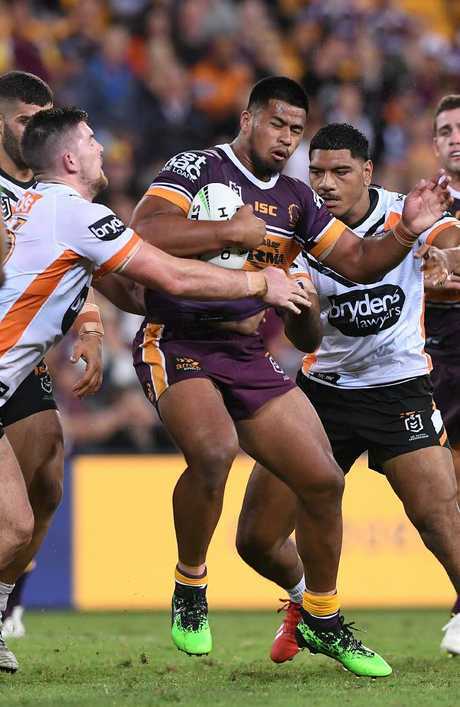 'Okunbor fever' has quickly turned to a pain in the HAAS, with SuperCoaches blown away by the incredible youngster's effort in his season debut for the Broncos. At just $181k, and the likes of Andrew Fifita, Fonua-Blake and potentially Jai Arrow out this weekend, a FRF cheapie of this caliber is mouth watering, along with two other cheapies with stellar money making prospects we are spoilt for choice. 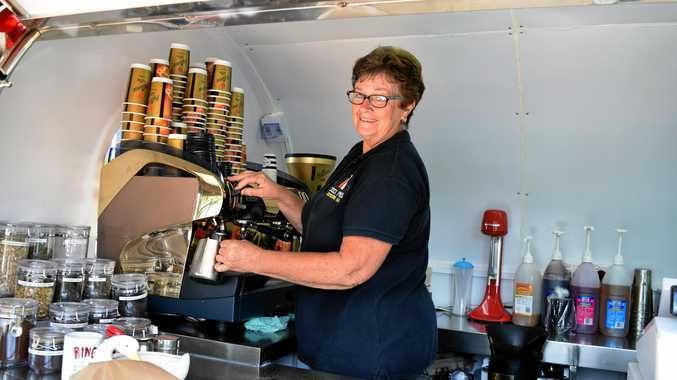 Cheapies are the keys to SuperCoach success, and each week I will have your verdict on the most popular and relevant names under the $280k bracket. Once a player eclipses that price we shall say bon voyage with a final verdict. Following up his stellar debut of 79 points, 'CHT' delivered against a very strong Rabbitohs outfit, leading the team to what should have been an improbable upset after being 24-12 in front with under 20 minutes to go. 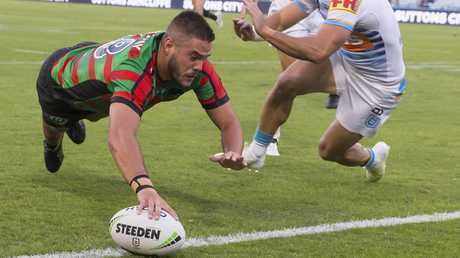 All of which came about in the absence of Blake Green, with CHT nabbing a try assist, 16 points in conversions, 14 tackles, six tackle busts, a line break and line break assist. Very impressive stuff, and coming in to round six with a BE of -89 and a matchup with the struggling Cowboys at home at Mt Smart Stadium bodes very well for his prospects. VERDICT: BUY! Even without Blake Green alongside CHT, he was able to flourish - we simply can't pass up this upside. In a dogged affair down in the Shire, Xerri found it tough to get loose and use his power and speed to good effect - scoring just the 28 points. The work rate was solid for a second week in a row with 21 points in hitups, 12 tackles and four points in tackle busts, but Xerri did also make four errors (-8 points). Most relevantly, the latest update on Moylan's return (effectively the spot Xerri has taken) has him looking at round 10, giving Xerri four price rises at a minimum. Is he a must THIS week, though? VERDICT: BUY. Xerri is a great purchase, but he comes with detractions like no round 12 coverage, a BE of only -20 after the lesser score in his second game, Moylan's impending return and the fact that most CTW cheapies still have money to make. WOW! 77 points in 63 minutes in his first game of the season, with 42 tackles, 29 points in hit ups and an effective offload. Yep, that's elite territory scoring over 70 points in base stats. NO one in the entire game averages that, so it's fair to say Anthony Seibold has some serious faith in the kid. Now, whilst that is incredibly exciting, don't be expecting 60+ minutes every week. Matt Gillett was concussed early in this game, but more importantly, TPJ is back next week, along with a stacked pack with names like Lodge, Joe O, Gillett, Glenn, Su'A, Fifita, Flegler, Carrigan etc. I would anticipate he settles in at 40-45 minutes long term - which is still great for us! VERDICT: BUY. Normally I wouldn't suggest buying a cheapie after just one game, but this is significantly different given Haas has already played NRL and is in the Broncos best 17, NO question. Okunbor came back to earth, along with all of his Bulldogs' teammates in the 40-4 thrashing to the Dragons. Three costly errors and a couple of defensive lapses (certainly not just his fault) diminished his scoring potential in this one. But, considering all of that, to come out with 46 points without a try or try assist - 25 points in hitups, yet another line break, a couple of offloads and four points in tackle busts - is a great result for a cheapie in the CTW. The initial price rise of $107,600 (5th highest all-time) was still an incredible result for owners, and he still maintains a -54 BE. VERDICT: BUY/HOLD. Somehow, Okunbor is only owned by 44% of teams, so it's not too late to jump on now. For everyone else, you can safely hold until the round 12 bye coverage, and play Okunbor in your 17 if this is the low mark. Those that were whinging about Waddell being in the 'buy' category two weeks ago only to see 11 points (thanks to a concussion!) next to his name, can take a chill pill and realise THIS is what we were talking about. The role was there for 40 minutes in the middle rotation with a fantastic PPM in the 1.0-1.1 range, and that showed this weekend against the Knights, scoring 46 points in 42 minutes with 27 tackles and 20 points in hitups. That means that the 11 point score will roll out of his average next week, and the price rises should come nicely in the lead up to increased minutes for round 12 coverage with Jurbo on Origin duty. Also, with AFB out, Waddell may even start and play BIGGER minutes this weekend. VERDICT: BUY. Yep, people will be focusing on CHT, Xerri and even Haas a week early, but I'm telling you this kid is the real deal talent wise if you have the other cheapies already. Worth a look. Ugh. Not what owners had hoped for from the pre-season favourite Corey Allan, scoring just the 16 points. Unfortunately, the Rabbitohs aren't utilising the right edge, with Cody Walker taking everything left (as per last season) and Allan isn't coming in for hitups off his own line. With the incredibly sad early retirement of Greg Inglis this week, Allan should be locked in to his spot which is a good thing, but this week against the Bulldogs is a dream matchup - surely he gets across the line this time out. VERDICT: HOLD. It's not the ideal scenario, but as we've seen already this season with Ravalawa and Sivo amongst others, it only takes one big score to kick start a $100k price rise cycle. Staggs was a low-key buy last week, given the 'indefinite' injury to James Roberts, but failed to deliver with just the 32 points and a $2k price increase. The BE is still low at just 6, but with the threat of Roberts' return, and likely bench utility (AE nightmare!) role upon that happening, I wouldn't be going there. VERDICT: AVOID/SELL*. Those that already own, you can probably afford to hold and ride out the low BE's a little longer - but, with the stellar cheapies on offer I would be making the move now. True to form, Flegler kept his great PPM of around the 1.2 mark going, with 31 points in 27 minutes all in base stats, and just purely watching the game he looked fantastic - BUT, alarmingly Seibold refuses to play him more than mid 20's minutes even in the absence of TPJ which may be a sign of a lack of fitness/trust in him in the early days of his career. Flegler's BE sits at a manageable 23 this week against the Raiders. VERDICT: HOLD. The BE is achievable, so you can focus elsewhere, wait a week at least then go down to teammate Payne Haas. Can you STOP it please Zac! Lomax is playing as a bench utility seeing, five, nine and nine minutes per game. Incredibly, in the last two matches Lomax has used those ridiculously low minutes to score 20 and 36 points respectively, with a try in the closing minutes of the rout of the Bulldogs. That leaves his BE at just 10, and we cant buy him whilst he's playing this role. Needs to be number ONE on your watchlist. VERDICT: WATCH. Pounce if there is ANY injury to that Dragons backline, as Lomax will kick goals full time. Incredibly, Salmon has lost another $14,700 this week, and now sits with a BE of 25 despite only being priced at $190k. Yuck. Scores of just 24 and 16 since taking over the permanent spot in the halves is disappointing to say the least, and with Dylan Brown potentially back around round 9-10 Salmon is an avoid barring a monster performance this weekend. VERDICT: WATCHLIST. Dylan Brown could pop back up at any stage also, so he's definitely an avoid for now. Carrigan stepped into the 'Flegler' role on debut, seeing just 14 minutes amongst the heated battle with the Tigers. He passed the eyeball test, and racked up a nice 12 tackles and 10 points in hitups (all H8's) to see an impressive 1.6PPM. But, given TPJ is returning next week, and Payne Haas was super-human level incredible on his return, I don't think there is a spot for Carrigan in the Broncos best 17 each week. I love this guy. Uele was the leading tackle buster, metres after contact and offload merchant in the lower grades in 2017, and was a front runner last season to make waves off the Sharks bench but it didn't eventuate. Now, with the Gallen absence and Woods long-term injury we got to see a debut. His game is built for SuperCoach, but last week only saw the 18 minutes of game time, scoring 18 points. Fifita is also a chance of missing this weekend, which would see Jack Williams and Uele play much bigger minutes. VERDICT: WATCHLIST. Certainly not a priority, but could jump out of the pack if given the minutes. Here's one smoky I thought I would throw out there at the bottom of the article for you legends reading all the way through the Cheapie Bible - past the buzz buys of CHT, Xerri, Haas etc. Starting the season on the wing, DWZ had an injury interrupted start with low scores of 14, 37, 9 (injured), 27. Then, last week, coach Cleary made the move to switch DWZ to fullback and Dylan Edwards to the wing. In non injury-affected games at fullback last season, DWZ had scores of 32, 51, 63, 34, 40, 34, 55, and 68 for an average of 47.1PPG which would represent a significant value-add to his current price, with the added bonus of round 12 coverage. Interesting. VERDICT: WATCH. Obviously nab the cheapies this week first, but a dual position Kiwi international fullback with round 12 coverage in cheapie price range is enticing. Players who eclipse the $280k cheapie cut-off, or plateau in price will be given a final verdict for owners moving forward. What a legend! Three consecutive 50+ point scoring games, with a try in each of them means we have seen $157,400 worth of price rises thus far. A great lesson in holding cheapie wingers (after his round two 13-point score) longer than you think, with just a couple of tries things can turn very quickly! 'Rava' sits with a BE of -2, with plenty more cash to make. What a legend! VERDICT: HOLD. Ravalawa gets a matchup with the leaky Sea Eagles this weekend, followed by the Roosters which is when he will likely 'peak' in price for a sell. Don't look now, but the Titans WON, and the #CartyParty could have had two tries against his former club! 51 points with a try, yet another full 80-minute game, and excitingly, 26 points in tackles, 14 points in hit ups create a nice 40-point base for owners. Carty made $33k this week, and now sits with manageably low BE's the next few weeks with matchups against the Knights, Tigers and Cowboys. All of a sudden, Carty is a nice prospect to cover the round 12 bye for his 18,404 owners. VERDICT: HOLD. You can't buy if you don't own him at this point already, but for those that do, Carty is a hold until the round 12 bye coverage barring a role change/selection issue. You beauty. In the battle of 'who should we have started with at $196k - Burr or Host' conversation, it's clearly Burr who has come out the winner. Host had an unfortunate ankle injury last week, and then played just 40 minutes scoring 27 points this week leaving him at just $286k and a BE of 45. Meanwhile, Burr has jumped to $360k with scores of 63, 42 and 89 in recent weeks and has a -8 BE. Nevertheless, Payne Haas has appeared at the perfect time to make the move. VERDICT: SELL. With Tyson Frizell back and Lawrie excelling in his lock role (let alone the de Belin uncertainty), it's time to move on before Host drops the cash he has made to this point. The Bulldogs got absolutely THRASHED 40-4 by the Dragons on the weekend, so naturally all attacking players showed up diminished output. Still, Meaney racked up 26 points in hit ups alone, and looked lively with the eyeball test in attack. The bigger scores will come, but he's off the radar as a cheapie at this point. If a player is not on this list, they are deemed not relevant either because of role or price. Let us know if you think we've missed anyone @SuperCoachNRL or @Copes9. Let the cash roll in!